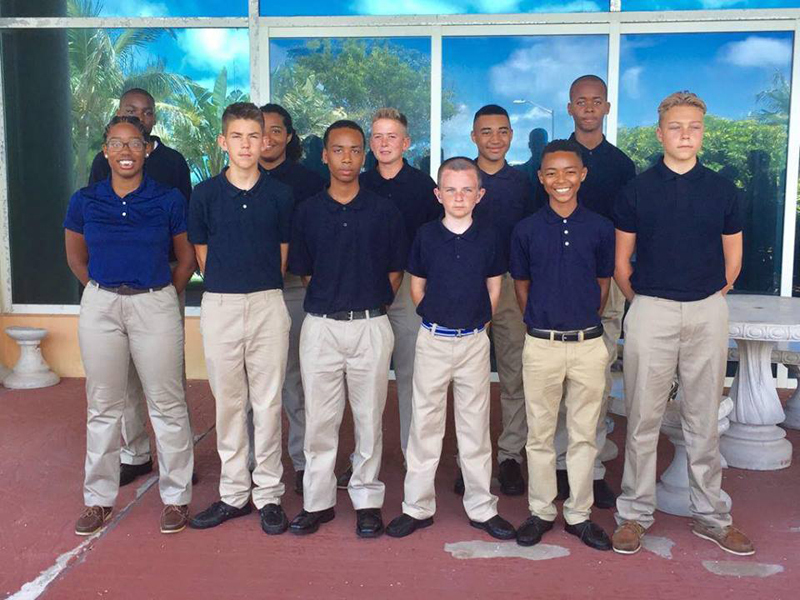 A group of 12 Royal Bermuda Regiment Junior Leaders at the weekend flew to Britain for two weeks of training and adventure. 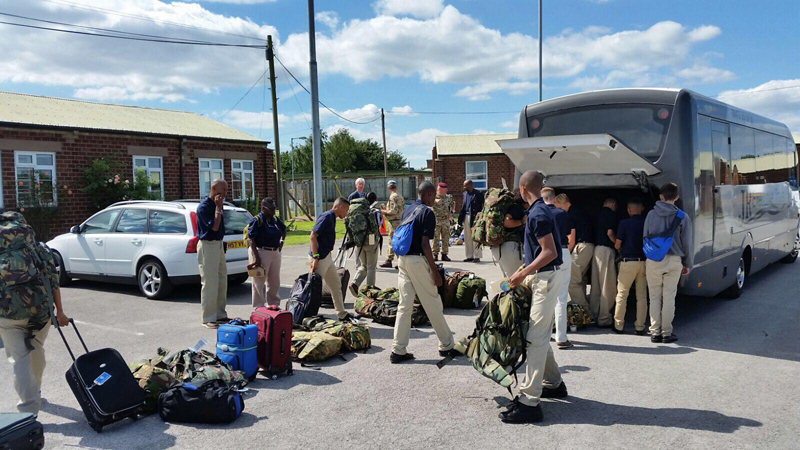 The teenage soldiers will join the Combined Cadet Force from the Royal Hospital School Suffolk, England, for the two-week exercise in Lincolnshire, designed to test their skills and provide adventure training. The four-year veteran of the organisation, a pupil at Somersfield Academy, added she had joined up after a friend recommended it. Private Jesse Williams, 14, also a Somersfield pupil and from Devonshire, has been a member of the Junior Leaders for just over a year. Major Henry Campbell, the RBR officer in command of the Junior Leaders, said the trip would allow the young soldiers to meet up with Lieutenant-Colonel Mike Beard, a former Staff Officer in the RBR and now Regional Commander for the Combined Cadet Force in Suffolk. He added the Bermuda group would practice patrolling, orienteering and map work and take part in adventurous training during the trip. Maj. Campbell said: “The last trip was three years ago to Canada and they’re all very excited at the prospect. He added that – as the RBR is now a Duke of Edinburgh Award service provider – the trip will give Junior Leaders working towards awards credits for their work in the UK. Well done junior leaders. VERY proud of you young men and women for your sense of adventure and courage to be part of this training.